Mariota’s ability to run has been well documented, but can he run a pro style offense? Mariota is widely believed to be one of the top two quarterbacks in this year’s draft, along with Jameis Winston of Florida State. If experts’ assumptions are correct, and Tampa Bay takes Winston with the No. 1 pick, the Titans will have quite the decision to make come draft day. Mariota provides the Titans with a unique opportunity, considering the Hawaiian might be the best dual threat prospect to come out of college — ever. 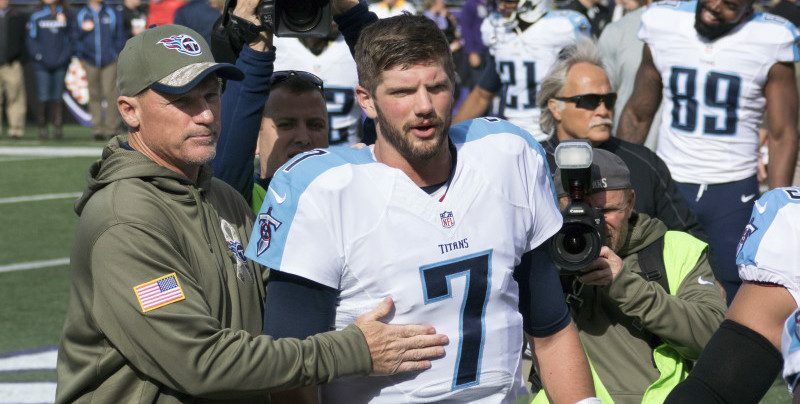 On the flip side, the Titans already drafted a QB last year, Zach Mettenberger, who many believe that the team wants to give him another year to develop. If that’s the case, and the Titans don’t take Mariota at No. 2, he could land just about anywhere. Other possible landing spots for Mariota include Washington, New York (Jets), St. Louis, Cleveland, and Philadelphia. The only question that seems to linger on scouts minds, and this applies to Tennessee as well, is whether or not Mariota can master the fundamentals of being a drop back passer. His ability to run is a given, however, in a pro style offense Mariota will need to show complete mastery of footwork under center to one day earn a permanent starting job in the NFL.